Once again the fight is on for tomorrow. I think bulls are going to have pulled bear meat with hot jalapenos sandwiches for lunch (Texan way, more specifically Austin's Whole Foods Market). All we need is a tamed Portuguese bond auction. I'll be watching Europe tomorrow before open. Today, leaders TRAN and NDX put in new highs and Naz followed suit. 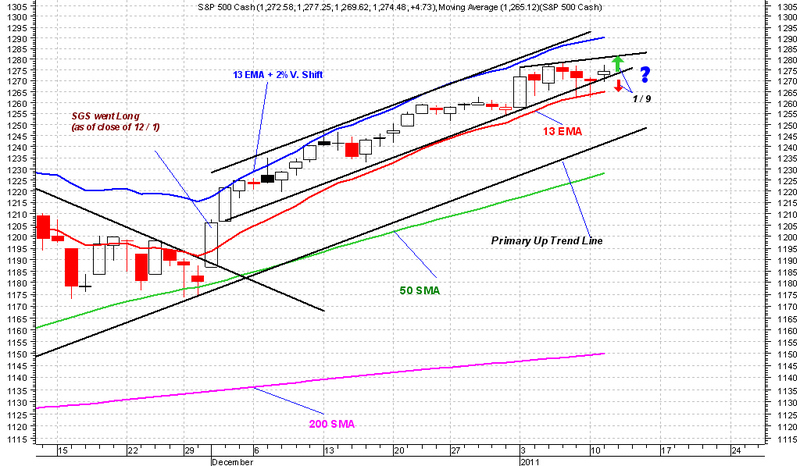 Tomorrow I think we'll see new highs in SPX and with a little bit of luck in RUT. That would be really nice. 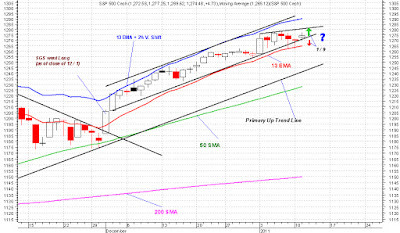 If things don't go bulls' way, then a trip down to 13D EMA is very much in the cards for SPX.